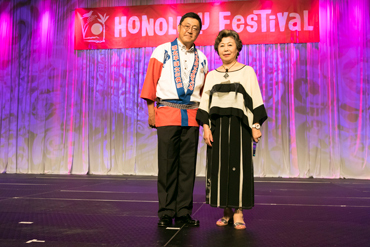 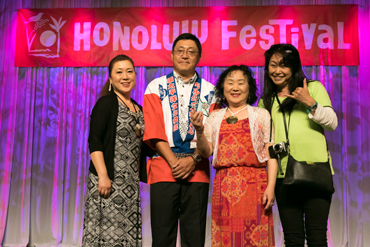 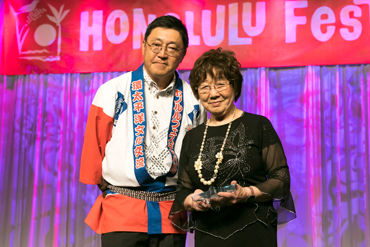 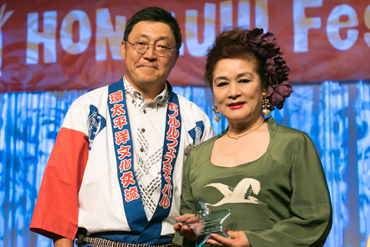 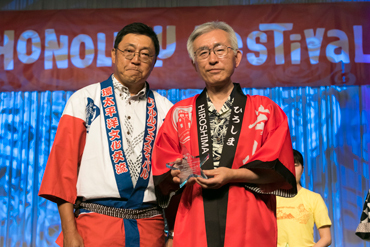 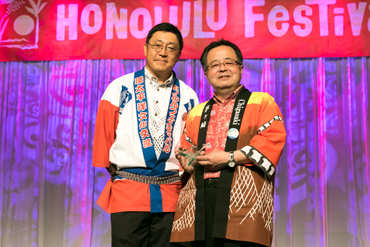 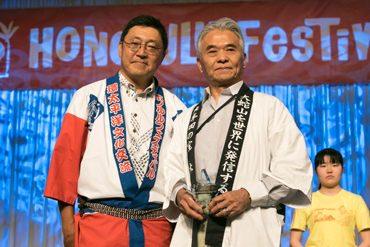 The Honolulu Festival holds an award ceremony called the Ohana Award in honoring those devoted participants who have contributed for many years. 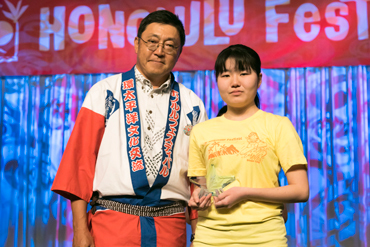 This year, there were over 40 participating groups that received the award. 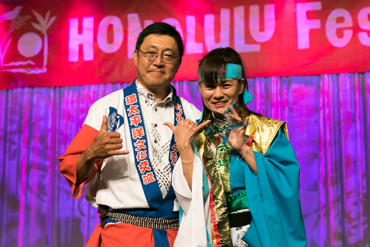 The commendation ceremony was held at the Hawaii Convention Center on Friday, March 10. 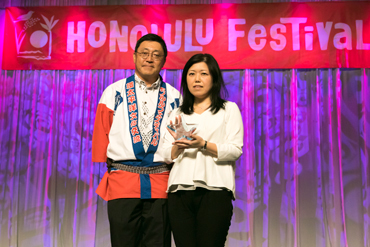 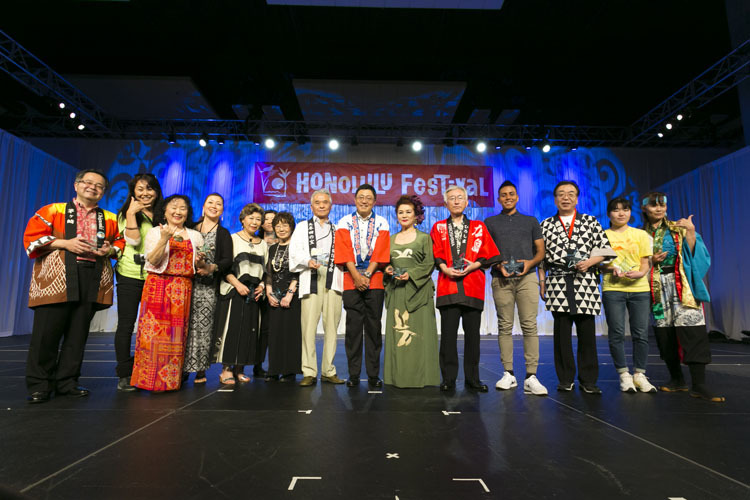 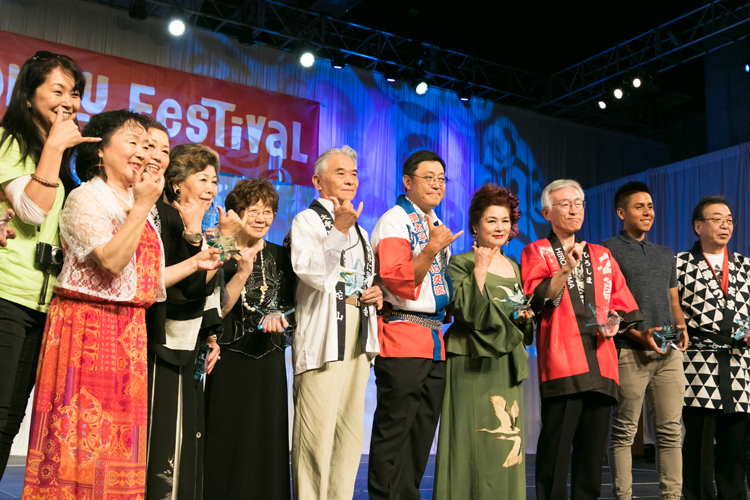 Tsukasa Harufuku, who is the president of the Honolulu Festival Foundation delivered a congratulatory speech and presented the Ohana Award to the following representatives from each of the respective 12 groups. 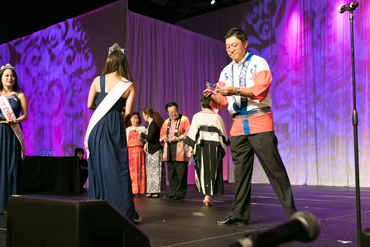 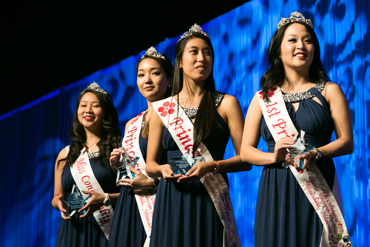 The ceremony was assisted by the Hawaii’s Cherry Blossom Queens which brought much excitement. 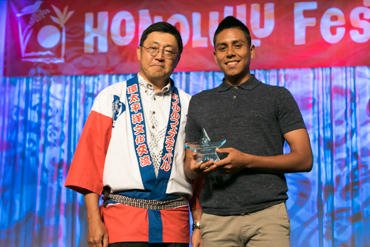 Congratulations to those that received the award! 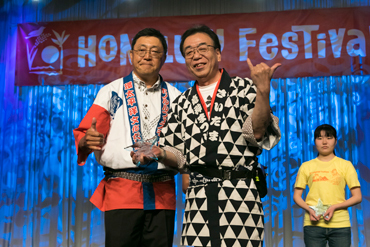 We are looking forward to seeing you all next year as well.